WASHINGTON (Sputnik) - US Treasury Secretary Steven Mnuchin was forced to impose sanctions on Russian businessman Oleg Deripaska last April after a slip of the tongue during a Congressional hearing in January, The Daily Beast reported. The comment reported by media on Wednesday came as a surprise to lawmakers, because although Congress had passed a law ordering the Treasury to create its "Kremlin report," the legislation did not require the department to impose new sanctions on individuals identified on the list, The Daily Beast reported, citing four congressional sources directly involved in drafting the sanctions. Mnuchin's slip-up forced Treasury Department officials to scramble to come up with sanctions that would match the secretary's congressional testimony, which he gave under oath, the report said. The four sources told The Daily Beast that the Treasury Department did not follow the normal protocol while drafting the sanctions, and did not coordinate closely with other departments as it normally does to determine what impact the measures could have. The report also noted that the decision roiled global markets and drove up the prices of aluminum, hurting US trade partners in Europe. Mnuchin is now considering lifting the sanctions, the report said, noting that further US limitations against Russia could hurt bilateral trade relations with other countries. One lawmaker, Senator Chris Murphy, told the media outlet that Mnuchin's mishap illustrates what he called a "civil war" within the Trump administration over Russia policy, in which career government officials push for more sanctions while President Donald Trump pushes back. Many US lawmakers want to impose new tough measures against Russia before the mid-term elections in November. But Senator Bob Corker told The Daily Beast that if lawmakers do not pass new measures by the end of this month, "then we probably won't do anything." 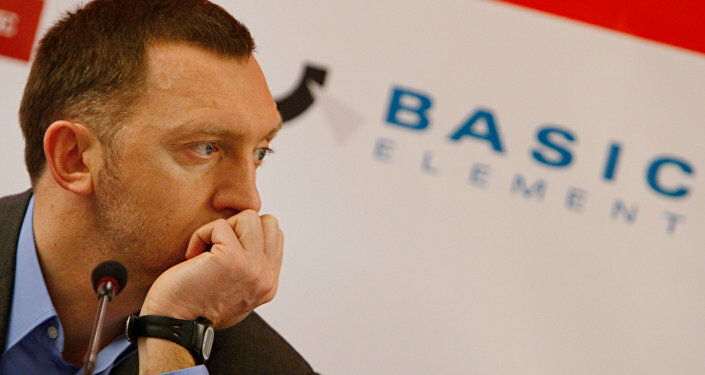 In April, the Treasury announced new sanctions on Deripaska and his En+ Group and aluminum company Rusal. After the billionaire's companies saw their share prices collapse, the businessman stepped down as director of Rusal and left En+ Group's board of directors. During Mnuchin's testimony before the Senate Banking Committee on January 30, lawmakers grilled him about the Treasury's reluctance to impose sanctions on Russia. After Mnuchin was backed into a corner, he blurted out sanctions that come out of this report will be imposed. He was referring to the Treasury's so-called "Kremlin List" report on more than 200 prominent Russians who could be targeted with sanctions.